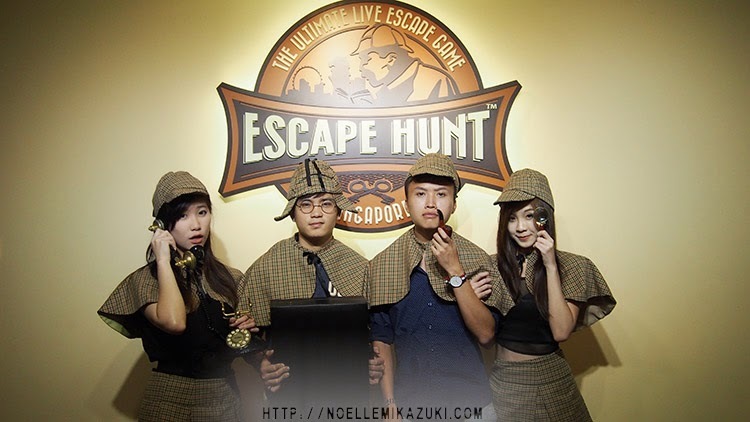 Finally got a chance to experience The Escape Hunt!! You get to become a detective for an hour! Being locked inside a scene (room) for an hour, trying to look out for clues and link them together to solve it and get out of the room!! It's really brain wrecking yet exciting and fun!! I was so thankful for this experience because I LOVE SOLVING MYSTERIES! I read detective books and comics since young and even created a detective club in Secondary school (lol!) and even till now, I love watching detective related movies/ books/ comics/ anime!! 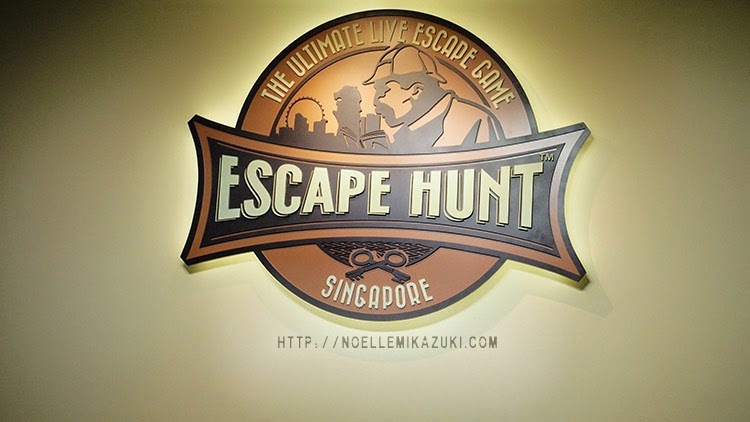 you'd have known that this is not the first Escape Game around in Singapore. The games are multi-dimensional, and non-linear. 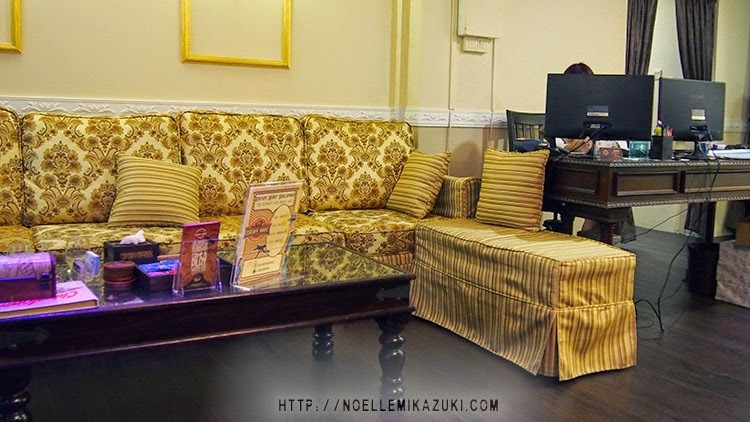 Just look at their waiting area!! It's so classy and comfortable and into the theme! They serve complimentary biscuits and tea, and their service was excellent! They would talk to you before and after the game and learn about your experience and hear your feedback if you have any!! And boy, I really love places with good customer service! Here's one of the staff briefing us about our game before it starts!! THEY DO NOT COMBINE YOUR GROUP WITH OTHERS. Which mean, if you want to be in your group of 2 or 3 or 4 or 5 etc. You GET TO be in your groups. I mean like, imagine being assigned to join other groups of 2 to form 4. And having to endure the pain of working with and having different opinions with complete strangers. It'll somehow (or rather) affect the outcome of the results! Plus I don't really like to interact with strangers, heh. I was so glad Eileen was at the event too! I paired up with her bf and her and we managed to solve the mystery in 53 minutes!! And the other team didn't actually manage to solve it, heh! All of us literally spammed photos, using their props and costume! 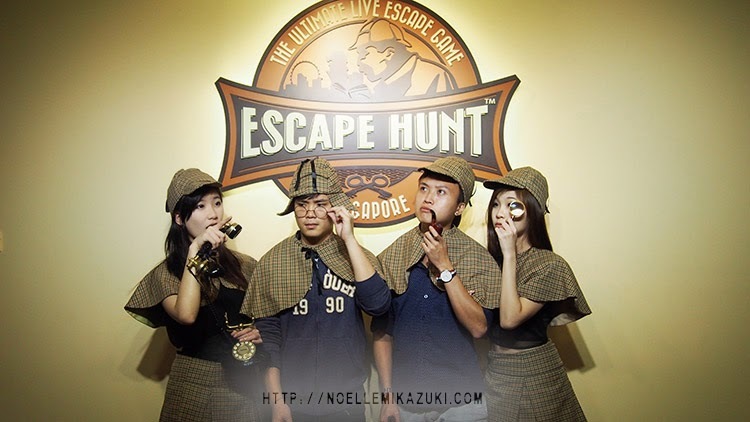 Do check out The Escape Hunt! It was an awesome experience and I'd definitely go back again once the rooms has changed! Detective Noelle signing off! Heh!